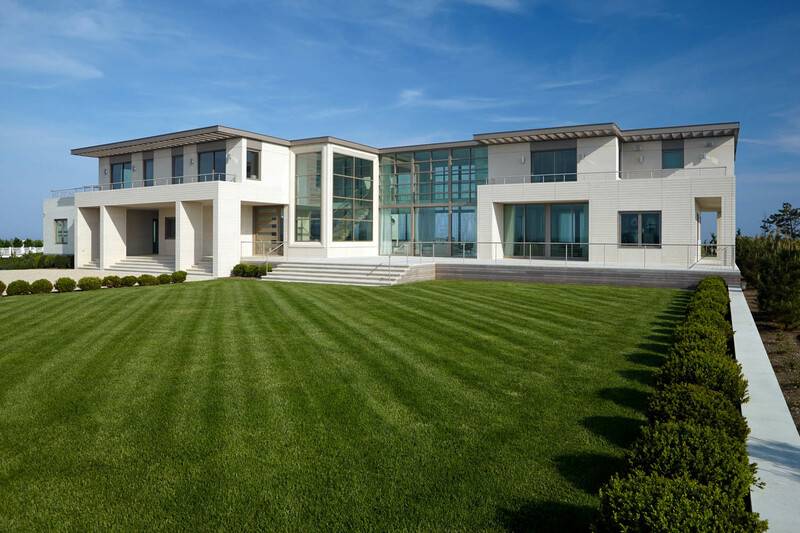 Clad in Bulgarian limestone, this 9,000 s.f. 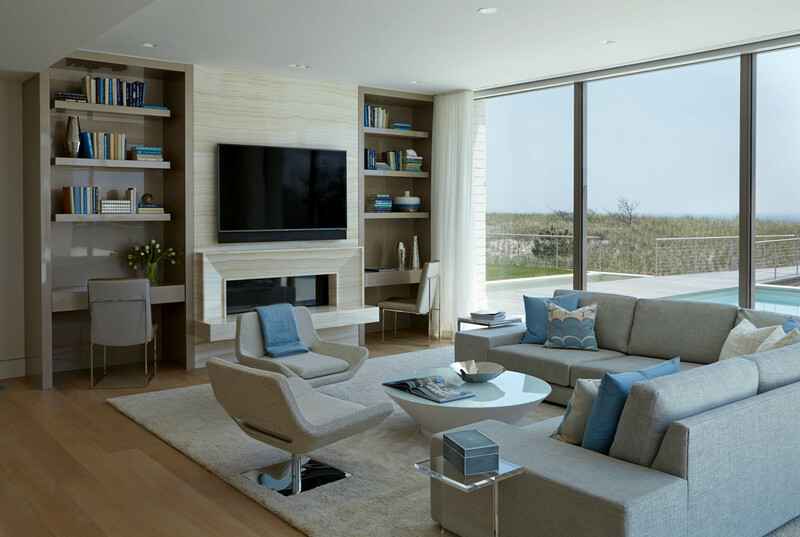 contemporary residence sits on the dunes in Quogue with views to both the Atlantic Ocean and Shinnecock Bay. 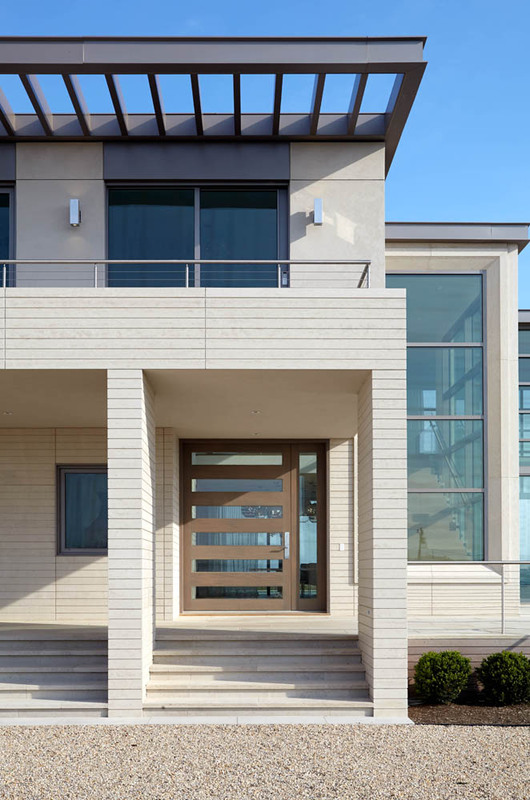 A combination of three materials – limestone, ipe and stucco – present a clean material palate that blends into the surrounding environment. 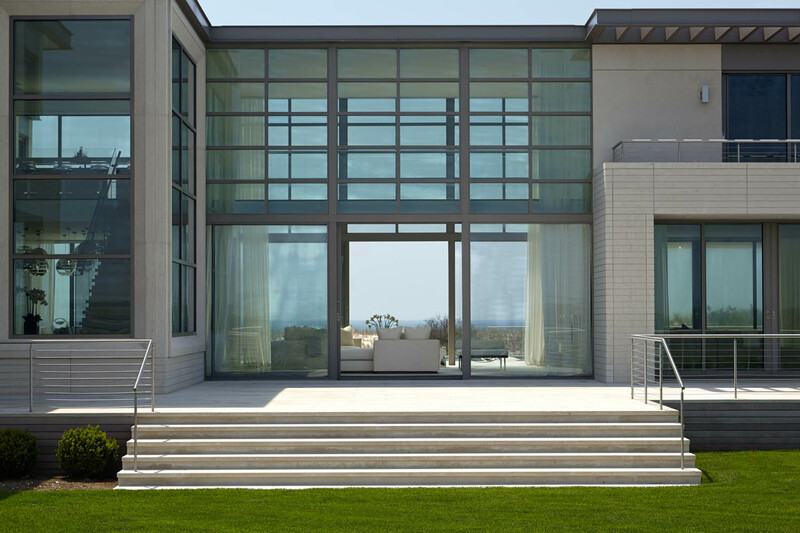 The house is split at the north easterly section of the structure with an 8-foot wide open breezeway that looks through to the ocean. 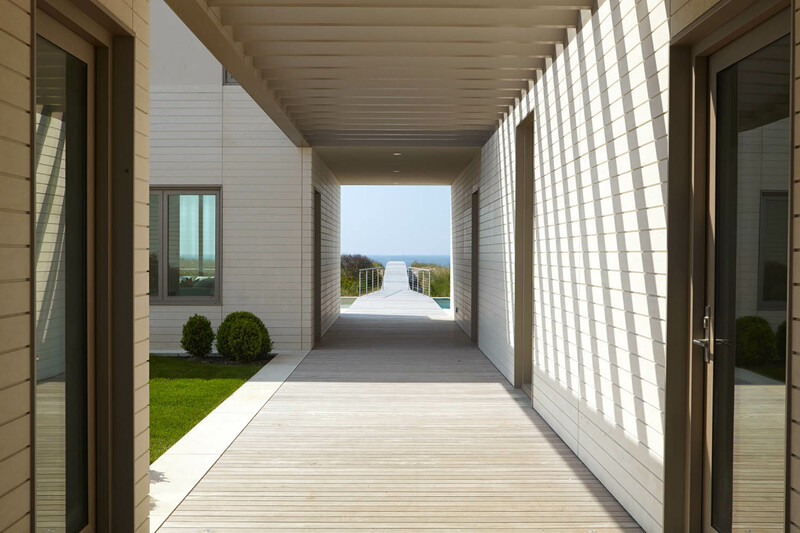 The procession from the Bay side to the dunes features a guest wing divorced from the main structure and roof garden that provides a visual break on the journey to the beach. 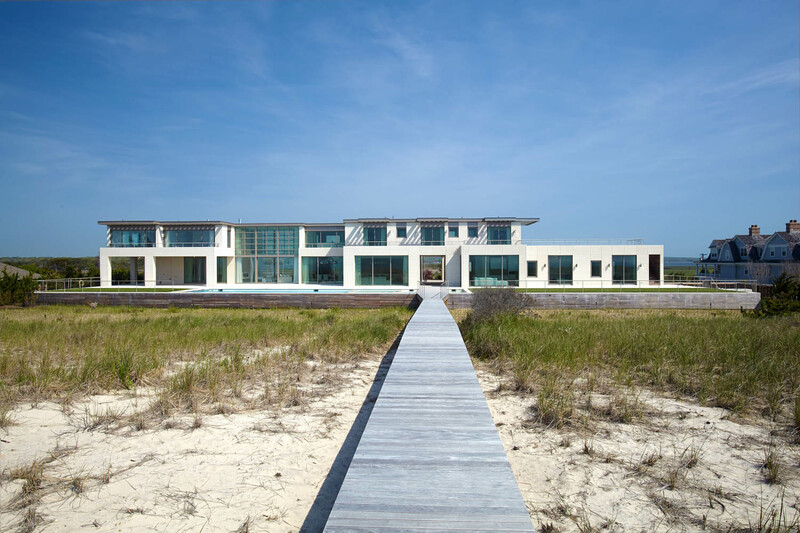 The boardwalk cuts through the large swimming pool and reflecting pool, allowing one to walk across and out over the dunes to the beach. 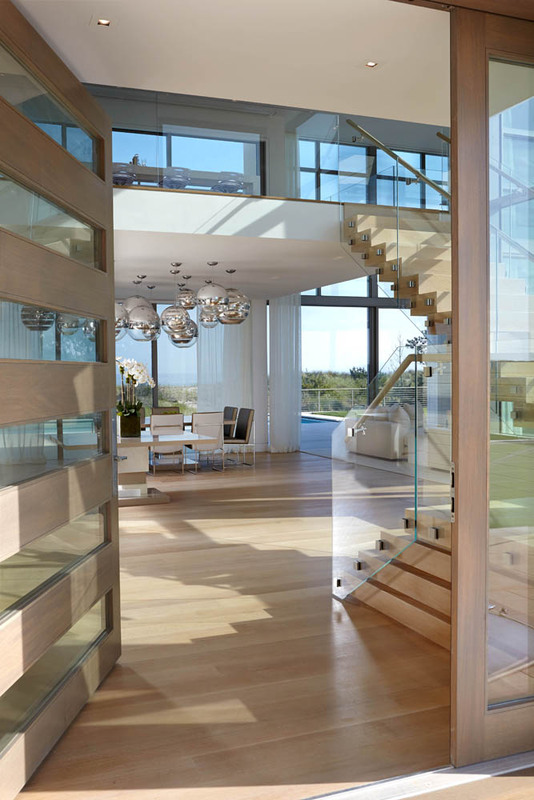 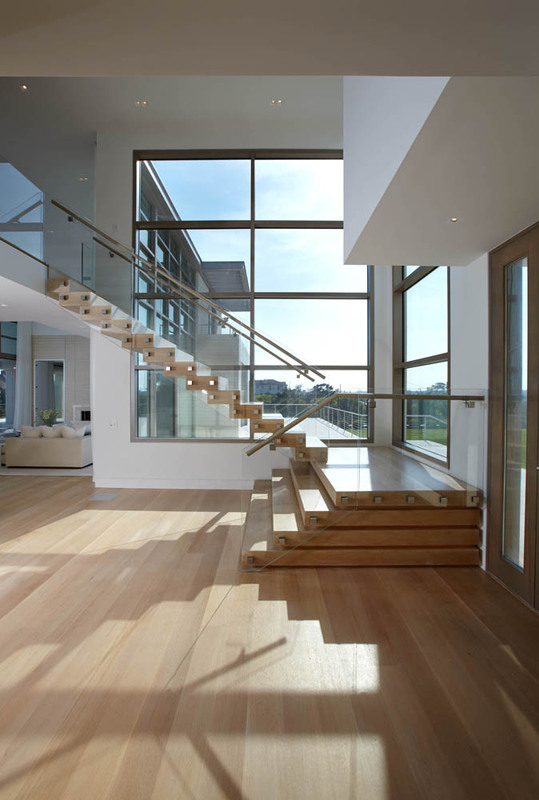 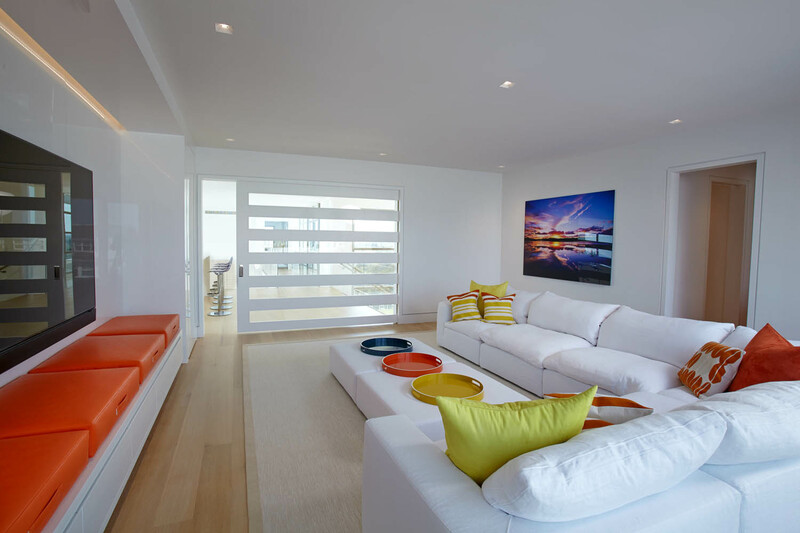 The interior spaces of the house are filled with expansive views through large glass openings, making both the ocean and bay backdrops to the everyday activities of the house.